USFDA issued observations after the audit of formulations Manufacturing Plant-3 at Bachupally. 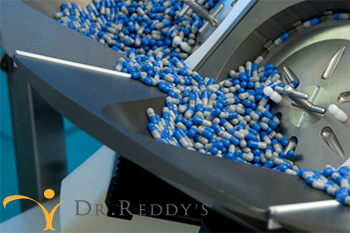 Dr. Reddy’s Laboratories in its filing to the exchanges informed that the US Food and Drug Administration (USFDA) has issued form 483 with 11 observations for its manufacturing facility in Hyderabad. Observations have been issued after the audit of formulations Manufacturing Plant-3 at Bachupally, the company said in a press note after market hours to the exchanges on Friday. Dr. Reddys Laboratories Ltd's share price ended at Rs2,773, up by Rs0.7 or 0.03%, from its previous close of Rs2,772.30 on the BSE. The scrip opened at Rs2,772.30 and touched a high and low of Rs2,780 and Rs2,772.30, respectively. A total of, 35,739 (NSE+BSE) shares have traded on the counter. The current market cap of the company is Rs46,037.05cr.